The Planet Intus team has been using several technologies for indoor positioning since 2010. After the creation of iBeacon, Planet Intus was able to begin leveraging beacons to create more affordable, easier to maintain solutions. They’ve been working with Kontakt.io since 2014 and have deployed across several million square meters in Europe and Canada. In fact, Planet Intus solutions (alongside Kontakt.io beacons) can be found in 17% of Europe’s biggest exhibition venues. Planet Intus wanted to make geofencing and indoor navigation easy for their customers, and they were willing to try all the new methods and technologies to make it happen. Bluetooth worked well, but they wanted more. In the end, customers would only care that the solution worked and fit seamlessly into their system. With other options like WiFi or UWB, Planet Intus knew there would be important trade-offs including steeper prices or decreased accuracy. There may even be risks concerning compliance or personal information protection. How could they make a solution that was easy for customers to understand, manage, and afford? When beacons emerged in 2013, Planet Intus was ready to get testing. They found beacons provided the ease and capability that would give customers a better sense of ownership and confidence. With beacons, their solution became more affordable and manageable for customers. Now, over 20 trade shows have been equipped by Planet Intus with hundreds of temporary beacons that are easily moved. They’ve covered thousands of square meters of industrial sites, buildings, and spaces. Palexpo is known as Geneva’s exhibition and congress center. The 106,000 square meter space has hosted sports matches, the Geneva Auto Show, and even Depeche Mode. 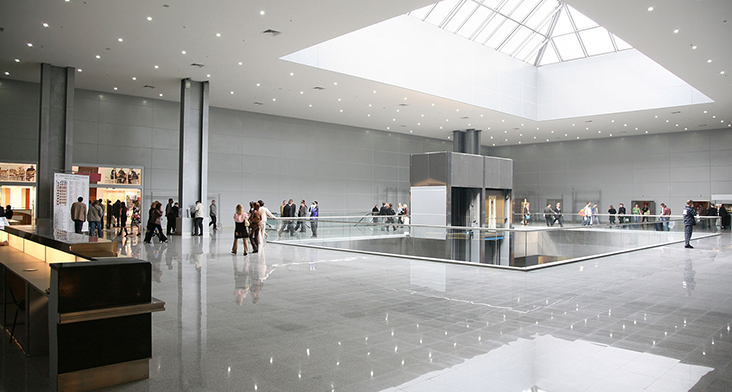 Viparis is the owner of all major exhibition sites of Paris, and more than 8 international venues including “Palais des Congrès”, “Porte de Versailles”, and “le Bourget.” In 2015, Planet Intus and the two clients rolled out a beacon-based geolocation infrastructure to help visitors find their way and to provide organizers new digital options. Beacons brought the established hall a number of new possibilities. For real proof of the Palexpo solution’s success, look no further than Viparis, CEA, where the system has now been rolled out in each of the popular exhibition sites.